A window should have handles/controls at a height permits use from wheelchairs. 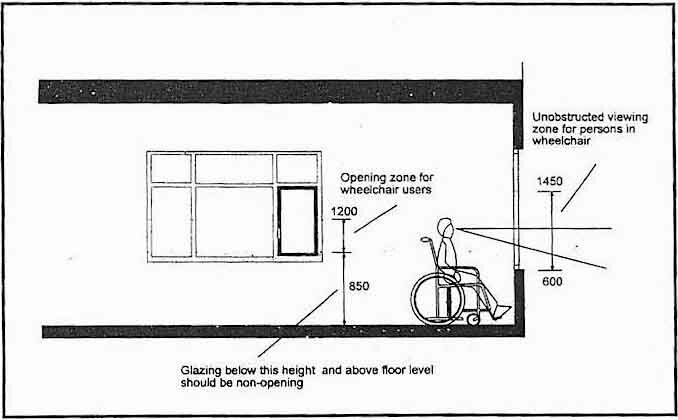 A window should have an unobstructed viewing zone for wheelchair users. Curtain or venetion blind controls/ropes should be accessible for wheelchair users.